Something truly unique and sweet! Our unique personalised certificates make the perfect alternative greeting card for someone special. 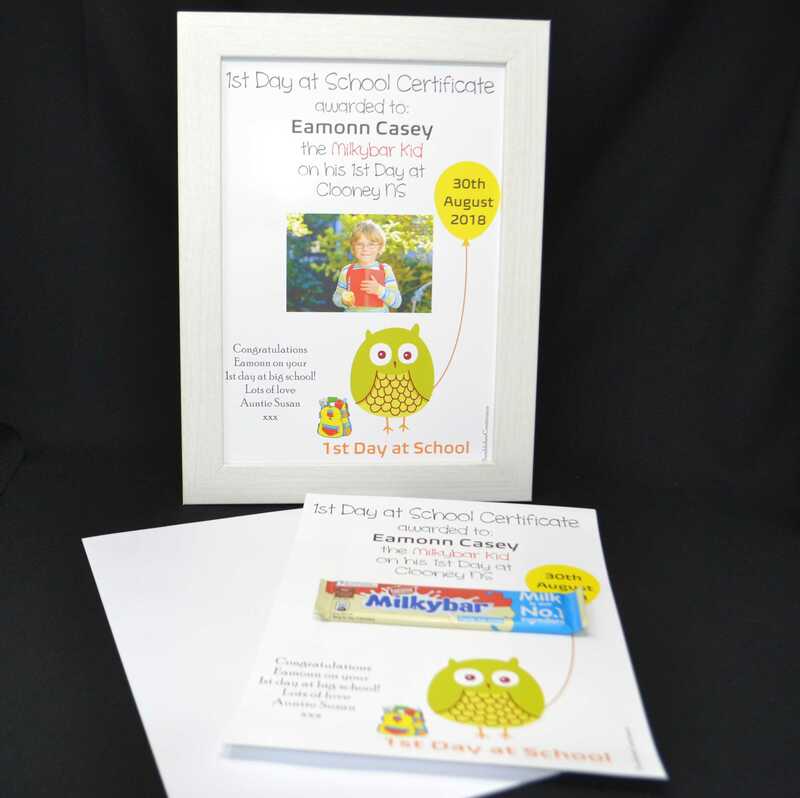 A4 personalised certificate complete with a bar of MilkyBar chocolate and outer envelope. Your greeting is printed on the bottom left corner - max 12 words. Afterwards a photo can be added to replace the MilkyBar and framed - how wonderful is that! !